IBS Business School Dehradun supplements its MBA program curriculum with soft skills training, providing a unique opportunity for all IBS students to develop their personalities and upgrade their communication and presentation skills. IBS Business School Dehradun, makes efforts to bridge the “Soft Skills Gap”, as pointed out by many HR professionals in the prospective employees, so that its students have the competitive advantage. The soft skill courses imparted in the first three semesters of the two year MBA program focus on building and improving student skills in communication, use of English Language, business correspondence, presentation, team building, leadership, time management and interpersonal skills. Life as a student is not always straight forward and sometimes the need arises for someone to talk to. At IBS, students enjoy the privilege of having the services of professional counselors to whom the students can turn for help. The counselors conduct psychometric tests to bring about a high degree of self awareness among the students. They help to solve the problem of the students which can be of academic or personal nature. The counselors also give feedback to the students on their strengths and the areas where development is needed. The faculty members, besides counselors, help in mentoring the students by spending quality time with them outside the class. The aim is to provide guidance and information to all students to smoothen their transition to the business world. 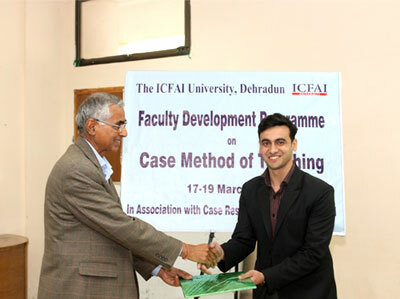 IBS Business School Dehradun has set up an English Language Lab to help its students master the language of business. The focus is on enhancing their English Speaking skills. The Library at IBS Business School Dehradun has over 8000 books with new publications being added every month. Students are encouraged to make maximum use of the library. They are given library based assignments to instill the habit of reading. Students at IBS Business School Dehradun are encouraged to take part in inter collegiate events which help to boost their confidence and organizational skills. The highlight is an annual inter-Business school meet organized by IBS Business School Dehradun (Biz Fiesta) which tests team spirit and organizing capabilities of the students. Students are given opportunity to display their skills in various sports like TT, Chess, Badminton, Volleyball, Basketball, Cricket etc. 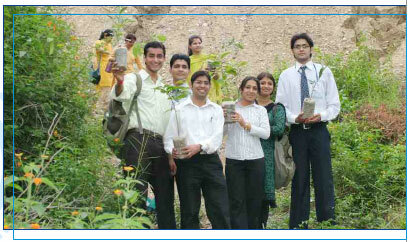 Treks, sports tournaments and competitions are organized regularly at IBS Business School Dehradun. The students and the alumni of IBS Business School Dehradun actively contribute to the community welfare services like Health Camps, Blood Donation Camps, Tree Plantations, Adult Literacy and other social awareness generation and sensitization programs.